you are making no sense… usb cables only, but wish wifi worked? fair. the point i was trying to make is that I won’t sign up for a (probably paid) service that hosts my private samples ‘somewhere’, then upload them just so i can re download them … for that I prefer a wired solution. I’m looking for some help downloading samples from Splice, onto my MPC Live. I’ve signed up to Splice & have an account. 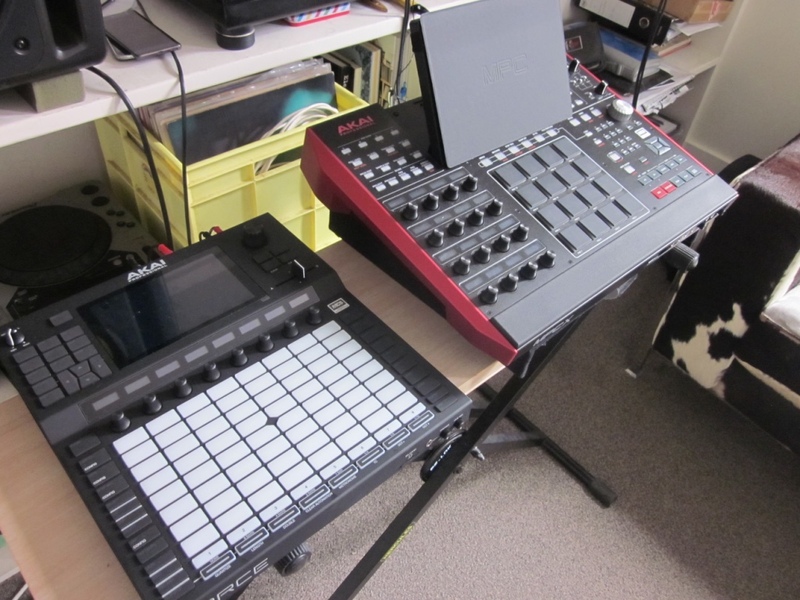 I’ve activated the free trial via the Akai website & have linked my MPC. On the MPC’s Splice preference page it shows that i’m logged in. I can log into my Splice account via the desktop & all is correct but when i try to download a sample i’m taken to the page where i have to register for a 14 day free trial & choose a payment plan. Do i still have to do this? Will it know that i have a 3 month free trial via Akai? I just needed to add the promo code after payment details. Seems obvious now. Although it seems that not all samples are available with the free trial. Force: Much nicer cosmetic design for little more $$$ and GUI and faster workflow. I like the crossfader and pads and it sounds great. I’m a big fan of the legacy of MPC --it has to look right --so many great records made with the beast. Your second pic, Force and Monologue XD is what I aim for in the future, but I’m happy with the Live at the moment. Main reason why I’d want a Force is how the step sequencer works and the clip workflow. The DIN MIDI on dongles turned me off the Force immediately. Well, that and the name, because I’m not 12 years old (smirk). I’m enjoying the Live though, enough so that I have considered upgrading to the X. That said, I fly with my gear regularly, so if I did get the X it still wouldn’t replace the Live for me. Not sold on the Force at all. For me its force and MPC live. 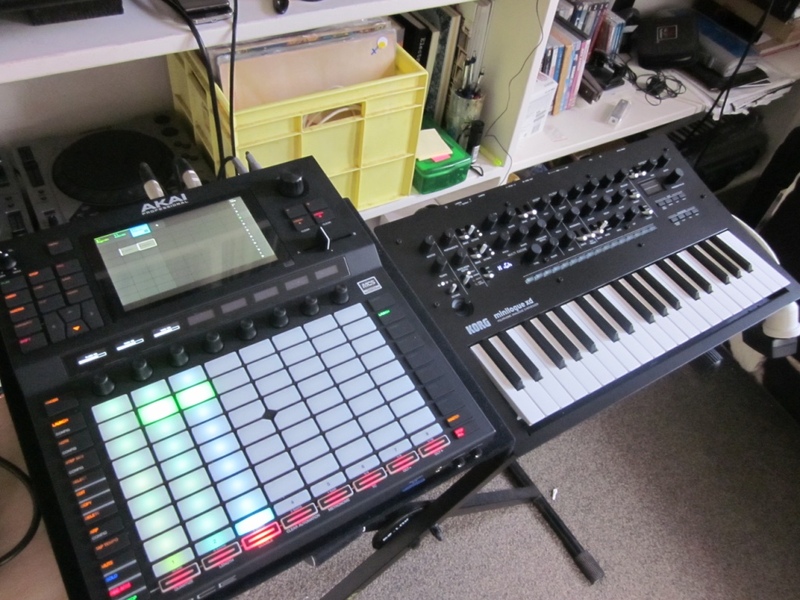 Even if MPC X has all the buttons and all that, its not a portable unit. I don’t have a car and not planning to get one either. And about that splice sub, I read from GS that activating the sub properly takes some messing about before you’re done it properly. When you’ve done it properly, all content should be available. Unfortunately it doesn’t seem to be the case via the Akai free trial. I’m up and running with the free 3 month trial. My Splice account shows confirmation of these trial details but you only have access to 9 free Sample packs. 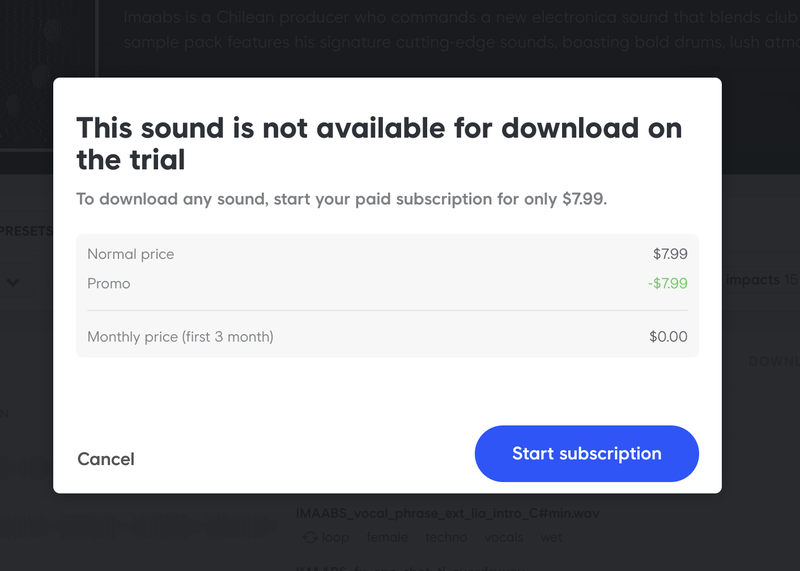 All attempts to download samples outside these 9 packs result in a message saying those sounds are unavailable with this trial. To get full access you have to go with Splice’s 14 day free trial. So you did as outlined here? Should be possible, in theory at least. The trickiest part seems to be finding a NAS that can connect to the USB ports on the MPC - unless you can also connect an ext drive straight into the big USB 3 port directly? If that works, then there are plenty of NAS drives in the shops with a USB 3 port that you could use.